The new IBDP History syllabus is very flexible, allowing for a wide combination of topics between the three exam papers (Sourcework, Standard Level Essays and Higher Level Essays). However, due to time constraints it is highly advisable to ensure as much overlap between the three papers as possible. With this in mind I have been thinking very carefully and in discussion with my students about how to structure the new course. This document reflects my ongoing thoughts about how to map out a new IBDP History course starting this September according to the demands of the new syllabus. I hope you find it useful. I'd very much welcome any feedback you may have. Holiday Work: Internal Assessment first draft. Question 1: Early Modern or Modern? Africa / Middle East: Ottoman-Mamluk War (1516-1517) OR European wars linked to the Reformation. This section focuses on exploration and expansion both westwards to the Americas and eastwards to the Indian Ocean and the Spice Islands. It examines the motives and enablers of Spanish and Portuguese exploration, as well as the impact of this exploration on Europe. This section deals with the origins, outbreak, course and impact of the French Revolution. It focuses on the social, economic, political and intellectual challenges confronting the Ancien Regime and the stages of the revolutionary process, culminating in the rise and rule of Napoleon Bonaparte. This section deals with the origins, outbreak, course and impact of the French Revolution. It focuses on the social, economic, political and intellectual challenges confronting the Ancien Regime and the stages of the revolutionary process during this period, culminating in the rise and rule of Napoleon Bonaparte. NOTE: Topics such as French Revolution , Napoleon, Russian Revolution, Lenin and Stalin could be recommended for IA, EE topics. *As from September 2020 (replaces SCW). Eisenhower and Dulles: The "New Look"
P2 T10: Rise of a Dictator (1 wk). Revisit Mao/Franco here as appropriate. The 'safe' option is defintely the "Road to Global War" + European History. 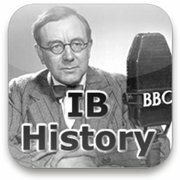 This matches closely the IBDP History course I have delivered up until now. However, 'safe' is also a bit 'boring' - especially given that the vast majority of my students will have studied many of these topics at IGCSE level already. Therefore, I think I will be attempting to deliver the "Rights and Protest" + American History. This will be a fresh challenge for me, and hopefully a very engaging course for my students! The topics which I will miss most (e.g. Russian Revolution, Lenin, Stalin, Napoleon, French Revolution...) could be pushed towards students as IA/EE topics.